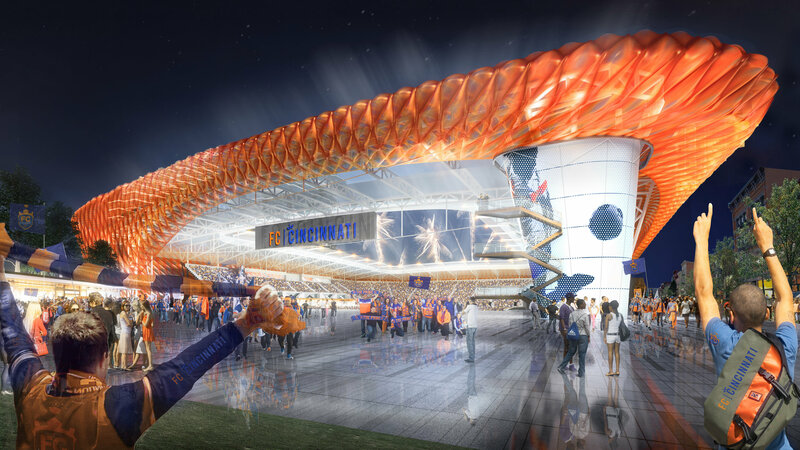 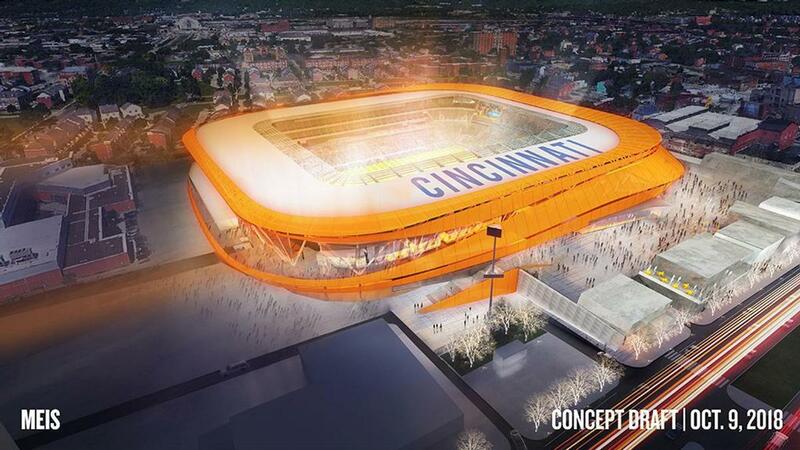 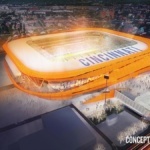 The Ohio soccer club FC Cincinnati has revealed renderings of a new stadium designed by Meis Architects. 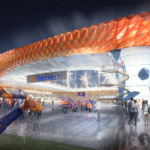 The design borrows features from some of Europe’s best stadia. 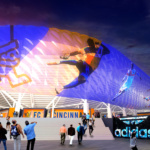 Meis Architects, which has offices in Los Angeles and New York, has designed the $200 million stadium to seat 26,500 people, with room to expand to 30,000. 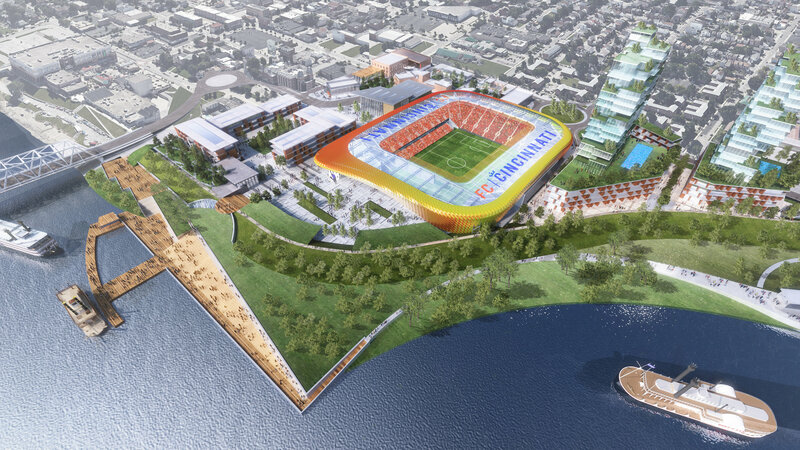 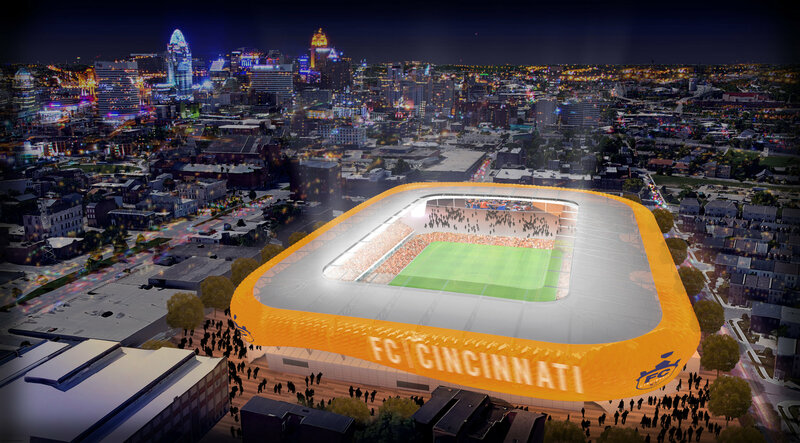 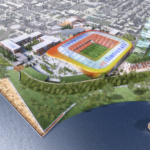 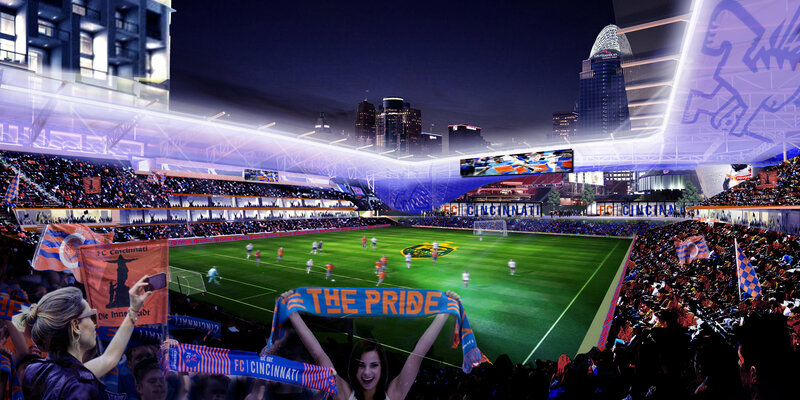 The new stadium is part of FC Cincinnati’s bid to become a Major League Soccer (MLS) team. 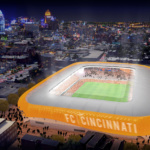 If successful, the club, which was founded in 2016, will leave the United Soccer League (USL), moving into the new stadium in 2021. 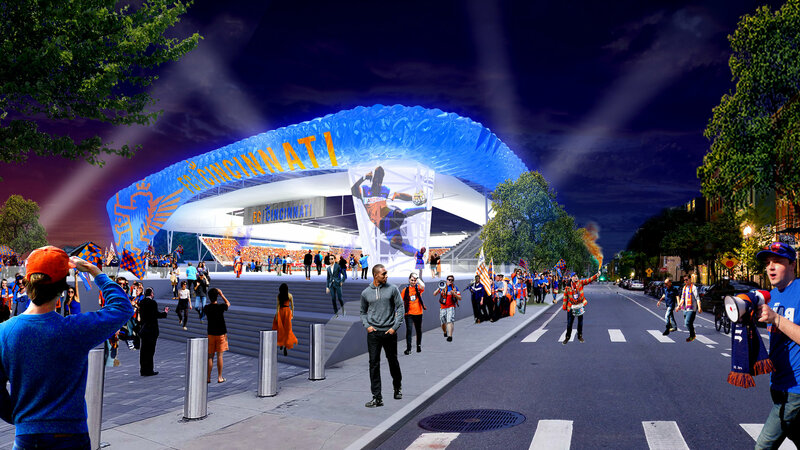 Preliminary designs feature a U-shaped bowl which will be illuminated by LED lighting underneath an ethylene tetrafluoroethylene (ETFE) canopy. 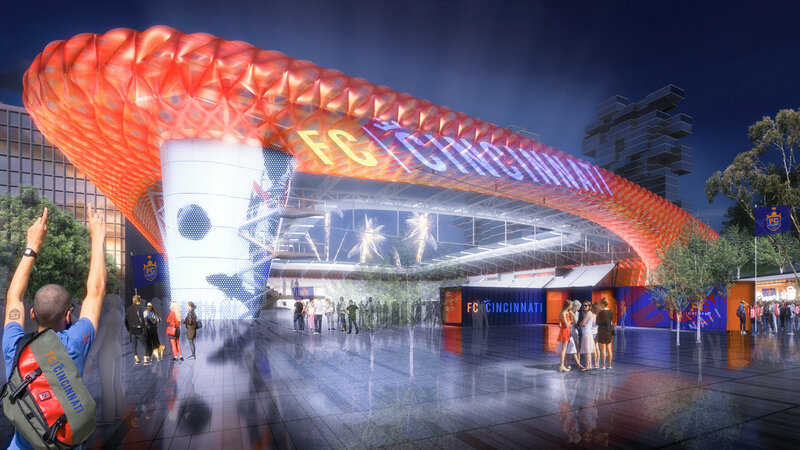 The canopy can be lit up in the club’s iconic orange and blue colors, much like the ETFE lighting scheme at FC Bayern Munich’s Allianz Arena designed by Herzog & de Meuron. 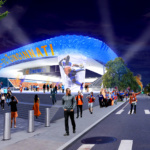 A site has yet to be confirmed, but a proposed site across the Ohio River in Newport means views of Downtown Cincinnati will be framed by the stadium. 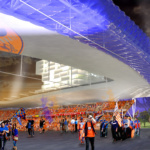 A retractable roof canopy meanwhile will act to mitigate noise from the stadium during game time. 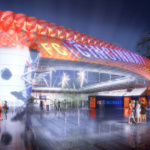 The main homestand, to be known as “The New Bailey,” will be a single tier and have a capacity of 8,000, echoing the famous “kop” stand at Liverpool FC’s Anfield Stadium in the U.K. 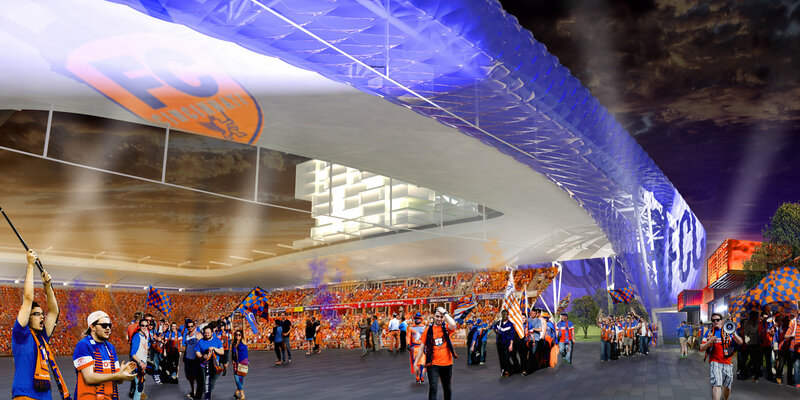 The New Bailey will sit behind one of the goals in the open end of the enclosed horse-shoe shaped stadium. 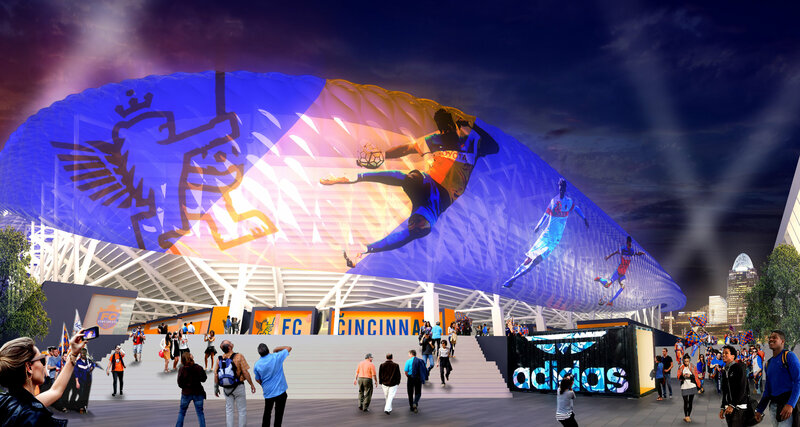 “It will lay against a tight dramatic backdrop, providing an unparalleled MLS experience for fans and players alike,” said Meis Architects in a description of the stadium on its website.